Hi everyone! 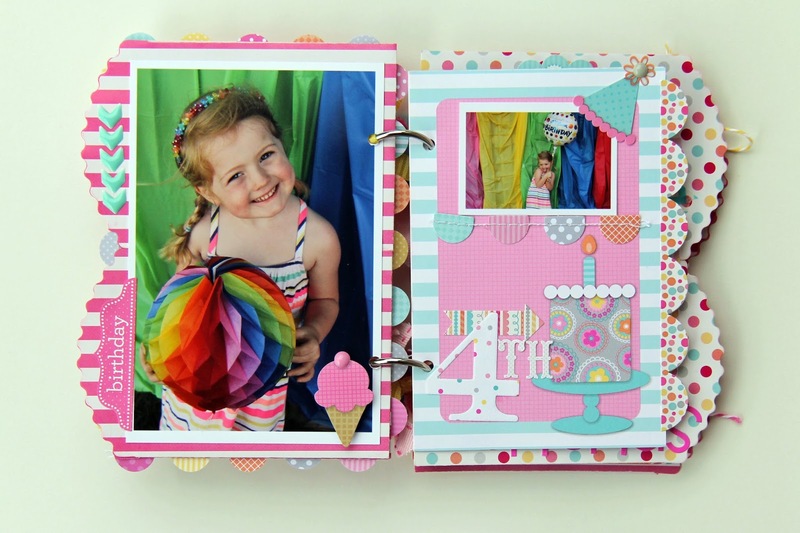 Jodi here today to share with a fun mini album I have been working on using treat bags! I loved the little shape of the top part of the treat bag and thought that two together would make a great base for a mini album.. ... ... and there began the start of my birthday girl mini album! Step one: Gather the treat bags you wish to use as well as any of the Simply Put Pages that would go with the theme of your album. 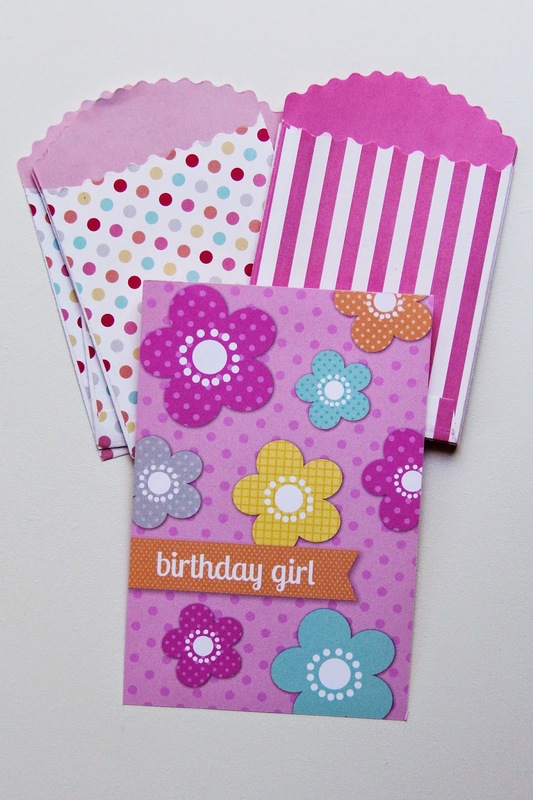 I chose the Cupcake Sprinkles Treat Bags, Bubblegum Treat Bags & the Sugar Shoppe Simply Put Album Inserts. Step two: Add a strong adhesive to one side of the treat bag. Place the other one on top, lining up all the edges. 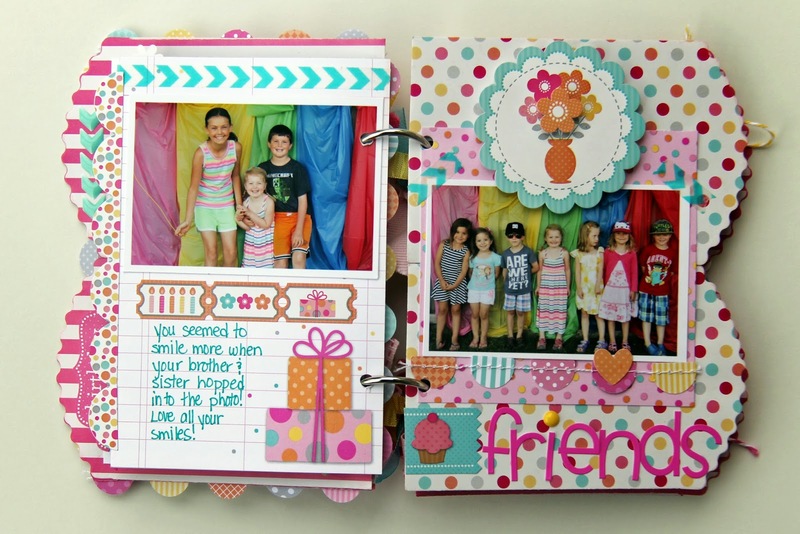 For some pages in my album I had the pockets on the outside to add pictures in them. 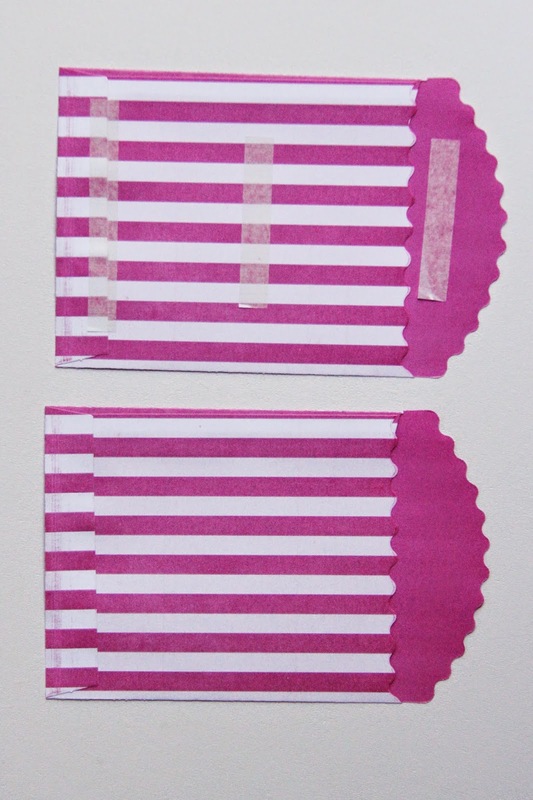 Step three: To hold the treat bags together I added either a Simply Put page or I cut down a patterned paper to 4 X 6 from the 6 X 6 Sugar Shoppe Paper Pad. 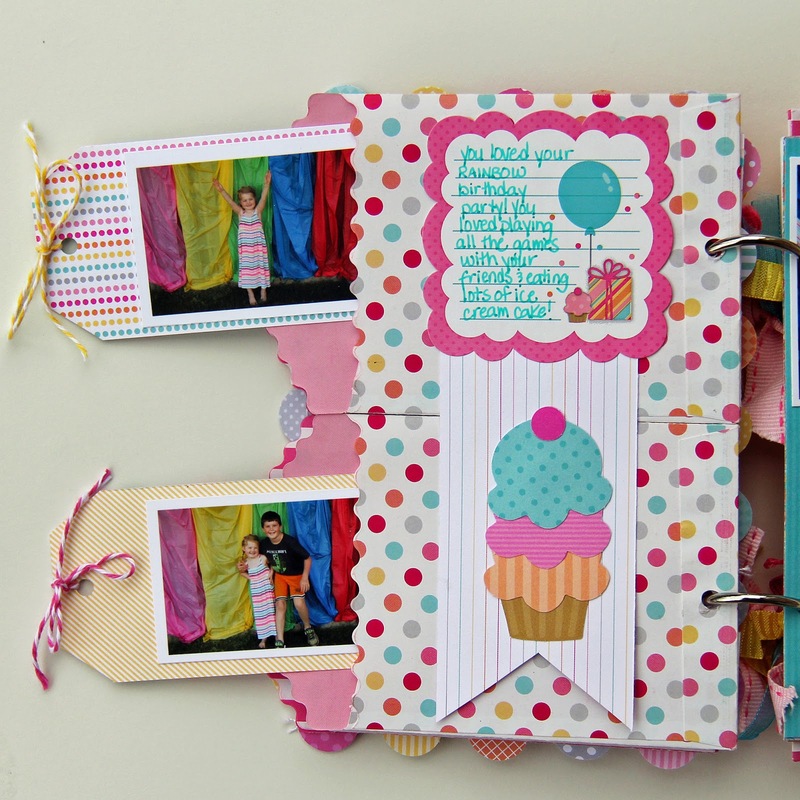 For some of the pages I would use the treat bag pages or just the Simply Put album inserts. Now a breakdown of all the pages for you! For the cover (see first image in the post). 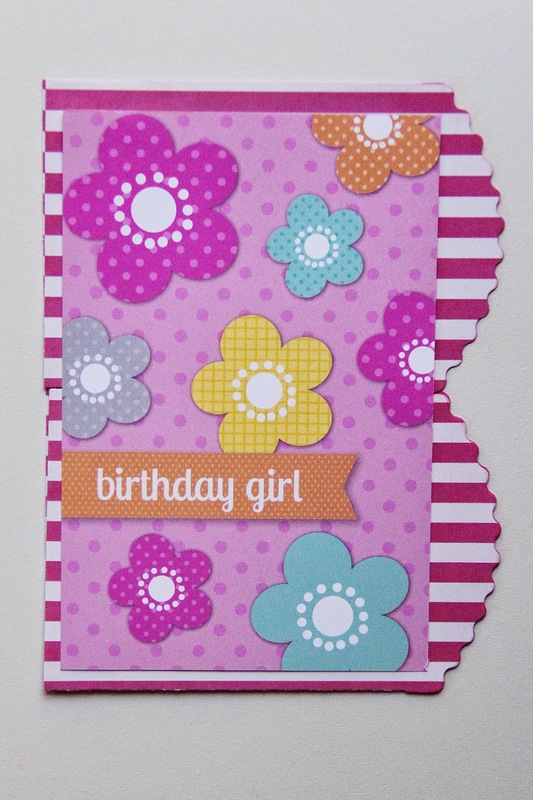 I added some Sugar Shoppe Sprinkles in the center of the flowers and created a border using the Sugar Shoppe Garland: I embellished even more with some Sugar Shoppe Cardstock Stickers to personalize my daughter's fourth birthday. 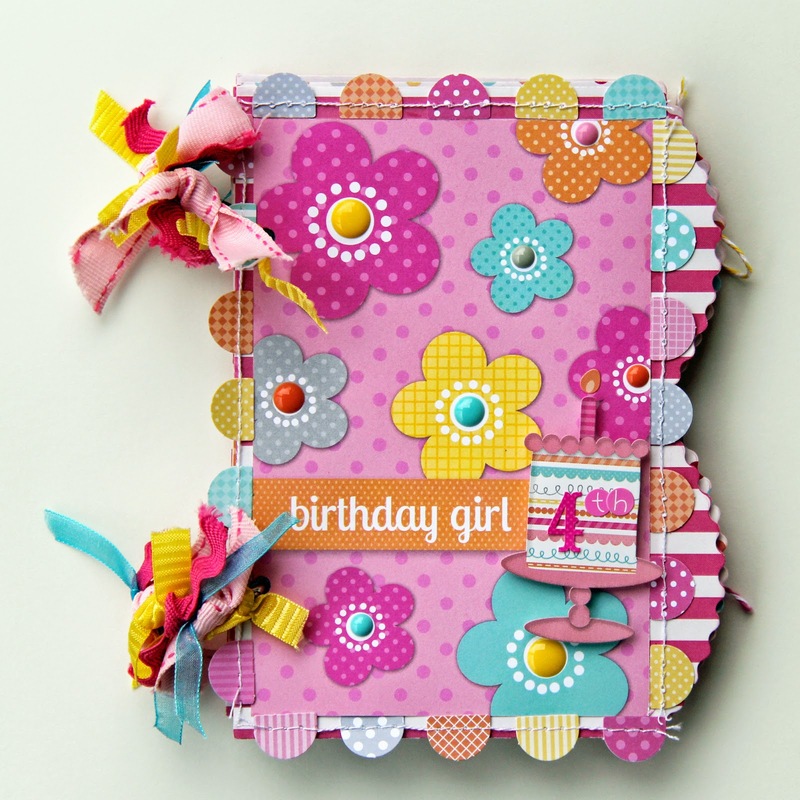 Another trick to make a fun border on your Simply Put pages is to use the Sugar Shopped Fancy Frills on one side and again match up the same fancy frill on the other side! 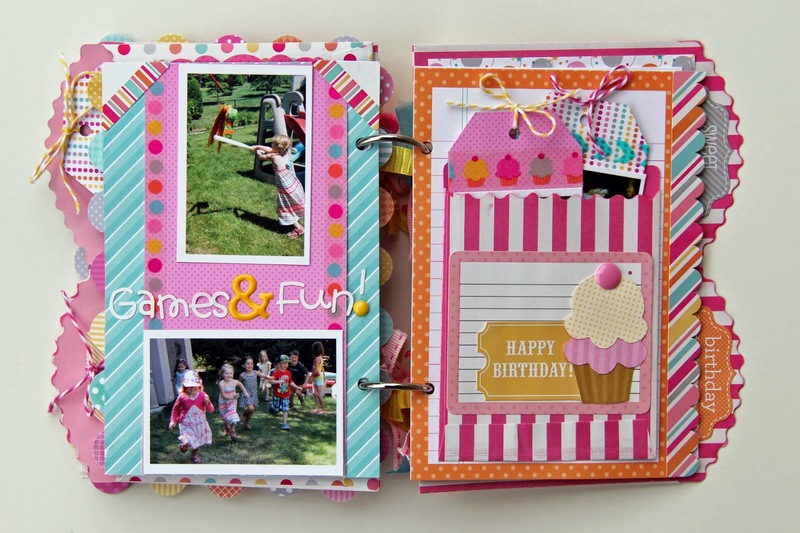 It creates a fun element to your album! 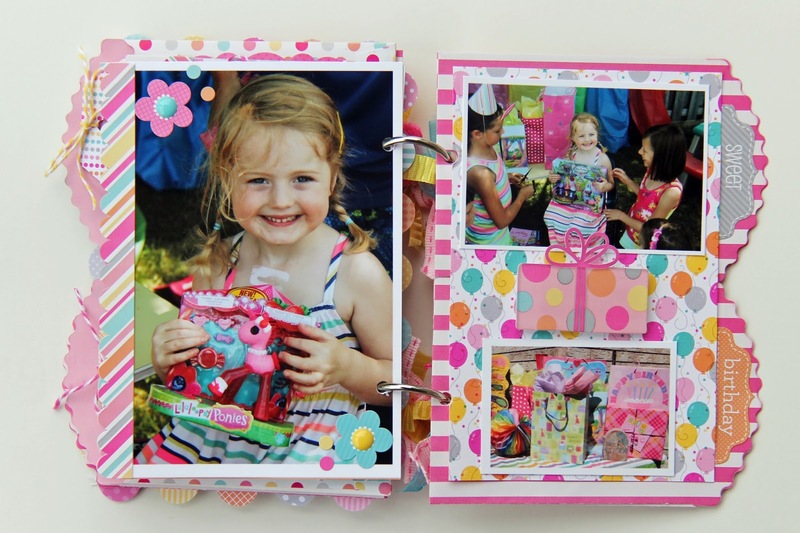 Finally, on the back of the mini, I added a Simply Put Springtime Album Insert and embellished it with some Sugar Shoppe This & That Stickers! So clever & absolutely adorable !!! Such a cute way to use those treat bags! Love it!!! This is so ingenius, so clever and so well done!!! Way to go, Jodi, for great pics and great explanations!! You made something that your daughter will love forever - what a special tribute to her! 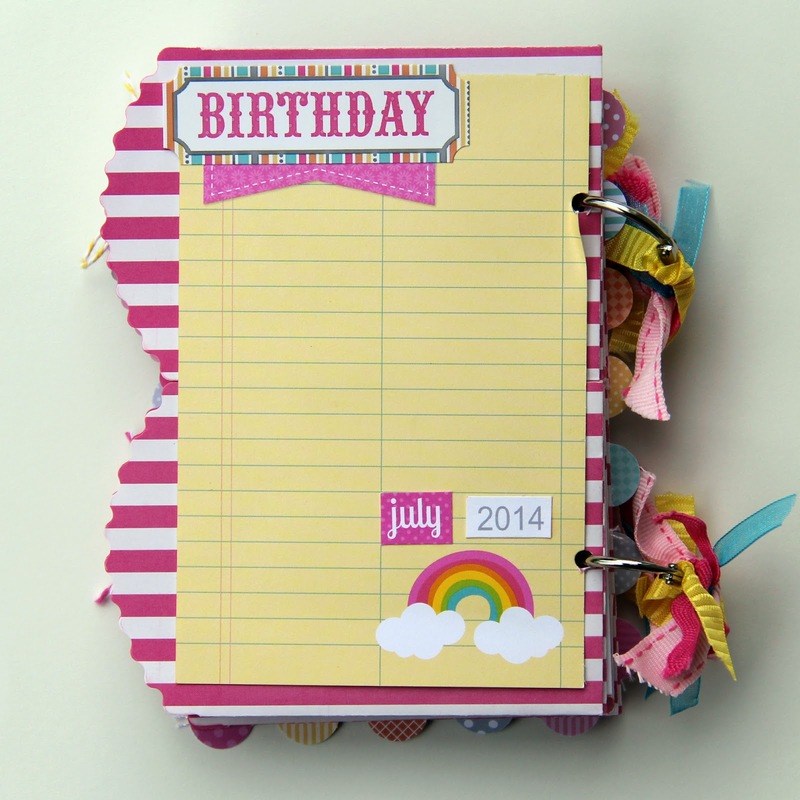 Love all the different ways you added to your pages - This is SOOOOOOO AWESOME!!!!!! Love the colours! Wish we could get the papers in Lethbridge. This is beautiful! I loveeeeeeeeee the colors and the photos!!!!! 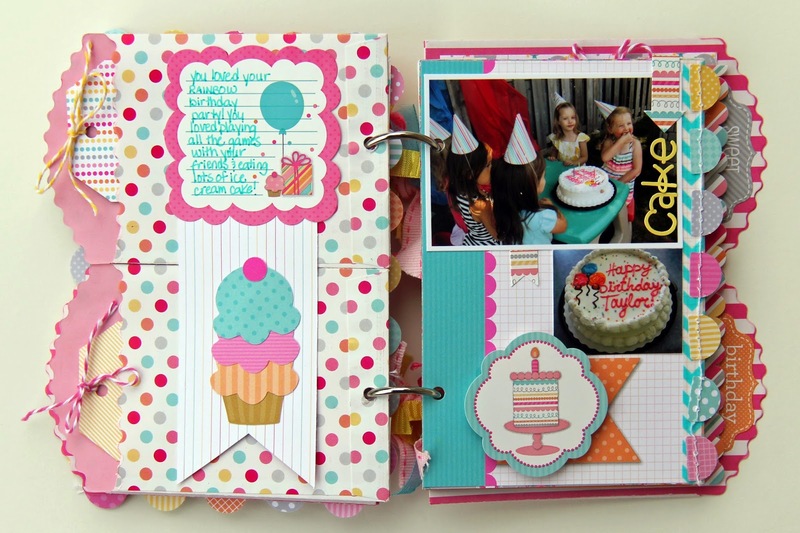 This is a REALLY COOL design, LOVE the pages & pockets, CUTE photos and BEAUTIFULLY embellished pages!!! THANK YOU for sharing your SWEET Treat Bag inspiration Jodi!! !